Although CCleaner is not considered malware, some people worry about the fact it has access to a great many areas within a computer. Like any program that accesses various computer files, there is always a risk if the program is compromised. Using CCleaner does come with a risk, but most malware and/or security programs consider CCleaner to be a low-risk program. 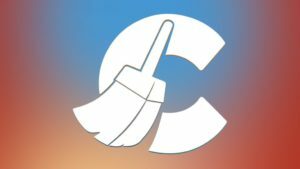 Can I make CCleaner safer and less intrusive? How do I know which system files should be deleted? You can Google each of the files that you see on the analysis-results screen, learn about them and decide if should they should be deleted or not. You should also back up your computer prior to deleting such files just in case they were important or needed. Will it delete my partially-downloaded Bittorrent files? Despite the fact that this may become a problem from time-to-time, the CCleaner is not programmed to remove the data from things you are trying to download. It is true that some people have run a cleaning cycle and then discovered that they have to start their Bittorrent downloads again, but this occurrence is unusual. Be sure to run an analysis first and check what is being deleted before you run the cleaner. Is there a way to add more applications total the cleaner? No there is not. The only applications that are added are done so by the CCleaner development team. You should try running an update check to see if the development team have added the program/app that you wish to clean. Why are some options in grey? These are typically the options that are not ticked by default. They may be grey and un-ticked because they are likely to generate results that contain important files. They may also be in grey because ticking them will dramatically increase the amount of time it takes the CCleaner to complete its cleaning process. Why would I wish to erase free space? There are recovery programs that are able to draw information from the free space in your computer. Erasing the free space makes it more difficult, if not impossible, for recovery programs to see what used to be on your computer. Why am I given the option of analysing? Sometimes, the CCleaner picks up files that you may wish to keep, especially if you have been altering your own programs or adding useful mods to your games. Analysing first allows you to check what is being deleted, which allows you to check to see if something important or useful is being deleted. Will CCleaner make my computer faster? If your computer is loaded with useless information, cookies, temp files, and such, then there is a chance they are slowing your computer down. A cleaning by the CCleaner may help speed up your computer as a result. Why are some programs not included in the “Uninstall” GUI? It depends on the way certain programs are installed. The CCleaner software only checks the most commonly used installation areas.